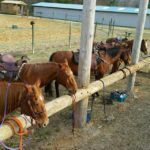 Short Business Description: Full care horse boarding facility in central Pennsylvania. Address: 110 Iron Mountain Rd. Short Business Description: We are the industrial wire cloth industry leaders. We have retail & commercial product lines. Our products include galvanized welded wire, PVC coated welded wire, hardware cloth, hex netting, PVC coated hex netting, lawn & garden products & more. Short Business Description: Guided horseback trail riding on 300 private acres. Short Business Description: Family oriented stable, spacious stalls, many amenities. Equine clinics, rehab services and more! Short Business Description: Red Brand is the most recognized brand of farm fence in the United States. 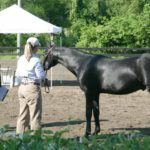 Short Business Description: Merlyn Acres raises Welsh Ponies with an emphasis on quality, confirmation and kid friendly temperaments. 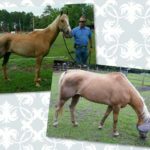 Short Business Description: Rescue home for abused and neglected horses. Address: 115 South Main St.
Short Business Description: Ventura Stables offers boarding and lessons. Western, hunt seat and Saddleseat. Short Business Description: Farrier services in South Central Virginia. Also travel to Maryland and Pennsylvania. Short Business Description: Professional full service equine dentistry provided on the East Coast. List your equestrian service in the East Coast Horses Business Directory. Check out our network of farms, stables, breeders, trainers, tack, horse supplies and much more today!